The news of the iPhone arriving on Verizon with their CDMA technology has been around for a while now and looks like Verizon itself is tired of the speculation and constant queries from the media. Verizon’s president and chief operating officer, Lowell McAdam, said at a press conference at the CTIA conference in San Francisco that people should look for an announcement about a Verizon iPhone from Apple. This is one of those things that rolls out every few weeks whether there’s a basis for it or not. I can’t give you any insights. But I think Apple is the one that has to make that announcement. McAdam said when asked to comment on the story. 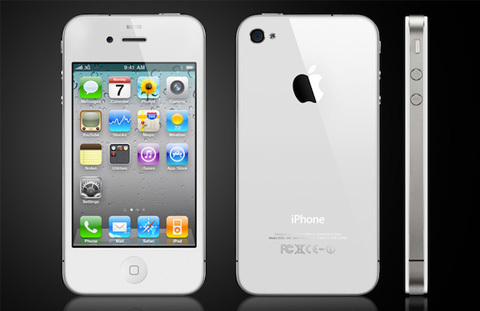 Reports started circulating yesterday that Apple will start manufacturing the iPhone in bulk from December 2010 with Verizon’s CDMA technology and the device will make its debut in early 2011. Verizon’s president is right in shifting the focus about a CDMA iPhone towards Apple as it all depends on their manufacturing capacity and capability. Verizon will start selling the device when Apple develops and delivers it to them. Other iPhone rumour is not actually a rumour but an obvious fact. Apple has a history of introducing the new version of the iPhone at the WWDC every year and as the current year is slowly coming to an end, iPhone fans have already started dreaming about the iPhone 5 and what it will bring. The most obvious prediction is a new antenna design as the iPhone 4’s faulty antenna proved to be one of the biggest media scandals that Apple has gone through in a long time. So, it’s just a matter of a few more months and the latest offerings from Apple will be arriving for fans’ pleasure world wide. iPhone Video Chat - Coming up!